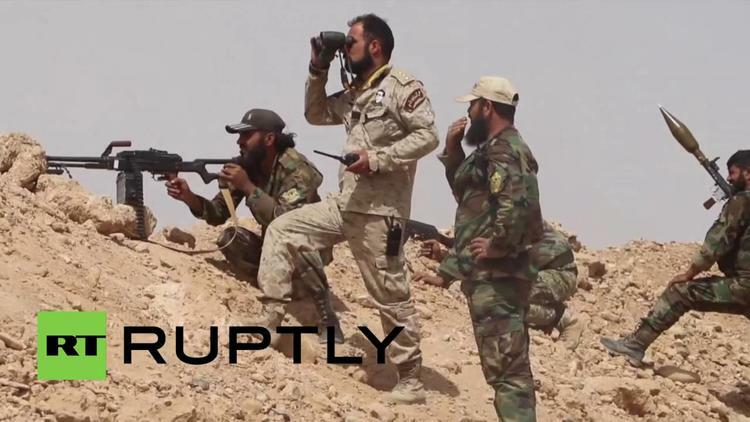 Syrian troops, aided by a Homs-based pro-government militia the ‘Falcons of the Desert’ and under the cover of Russian air support, entered al-Raqqa Province from Hama for the first time in two years on Saturday. The southern half of al-Raqqa province is one of two major strongholds left to Daesh (ISIS, ISIL), the other one being Mosul in northern Iraq. Mosul is much bigger and more important, but al-Raqqa has symbolic importance to Daesh, since it is where the terrorist organization first established itself as a ‘state’ ruling territory. The territory also figures in Daesh’s weird theories about the Judgment Day. The Arabic press is saying that the regime seeks to retake the town of Tabqa, which has a major air base that the Syrian military lost to Daesh in June of 2014. The Baath government of Syria, led by President Bashar al-Assad, has been seen by some observers as reluctant to spend a lot of energy on fighting Daesh. It only has some eastern and northern territory and is not very dangerous to the regime at the moment. The existence of the brutal terrorist organization is a propaganda coup for al-Assad, since he argues that Western governments have a choice of supporting him or supporting ISIL. Since the latter blew up Paris, whereas al-Assad has only tortured and massacred his own people, he may be winning that argument in some European capitals. Al-Assad and the Russians may fear, however, allowing the US-backed YPG Kurdish fighters to take all of al-Raqqa. The US calls the YPG the ‘Syrian Democratic Forces’ and has tried to give it some American-trained Arab allies, but the SDF is nevertheless mainly leftist Kurds. The US has encouraged the SDF to move on al-Raqqa city, the capital of the province, and wipe out Daesh from it. If that happened, all of al-Raqqa province might fall to the Kurds and other American allies, and the Syrian government is probably trying to complicate that outcome by putting down its own markers in post-Daesh al-Raqqa. While the Muslim-Brotherhood-linked Arab press is arguing that the US and Damascus/Russia are coordinating their campaigns against Daesh, I think it is likely the other way around. The announced US intent to have its local allies, the Kurds, take the provincial capital raises the prospect that the Syrian government will be excluded from the province as the country heads into a post-conflict stage. 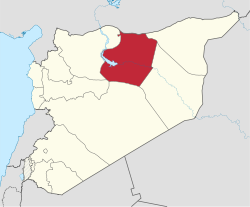 Damascus is putting down a marker on part of al-Raqqa for itself, and that air base would be a useful point from which to monitor the province.